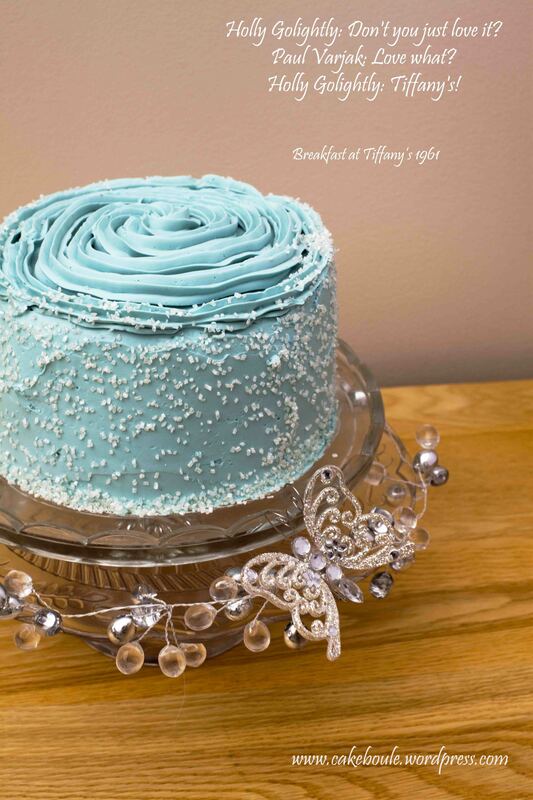 This entry was posted in Cake Flavours, cakes, Celebration, Recipes and tagged Blue layer cake, Breakfast at Tiffanys, Celebration cake, Champagne, Champagne cake, Engagement cake, French buttercream, Layer cake, Tiffany cake, valentines day, Valetnines by Jacqueline Jay. Bookmark the permalink. Thank you – I did stare at it for some time! If only I had a tiffany box to go by (sigh) so I am glad I got it right I have stared at too often online I feel! 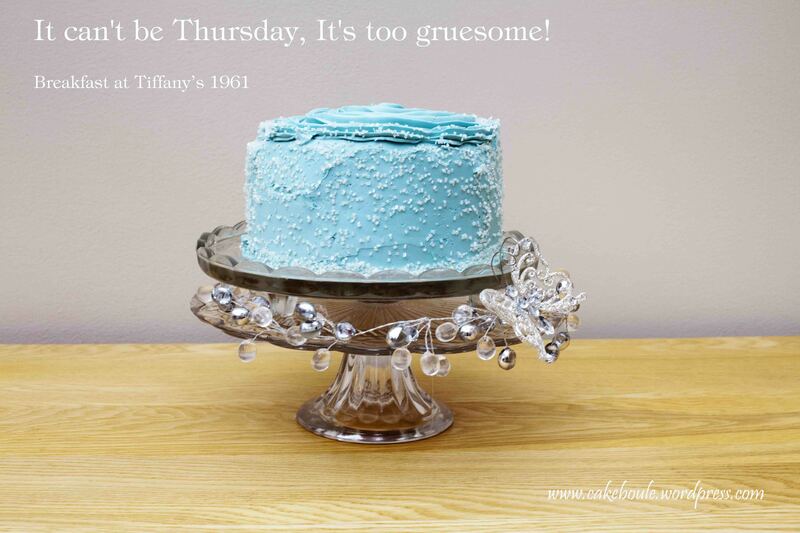 I love Audrey in that movie too…The color of this cake is so adorable. Elegantly presented. Thanks for the wonderful photographs. Thank you kindly – it is an amzing movie I am just so sad it took me so many years to find it! This looks wonderful – and I loved reading your story. 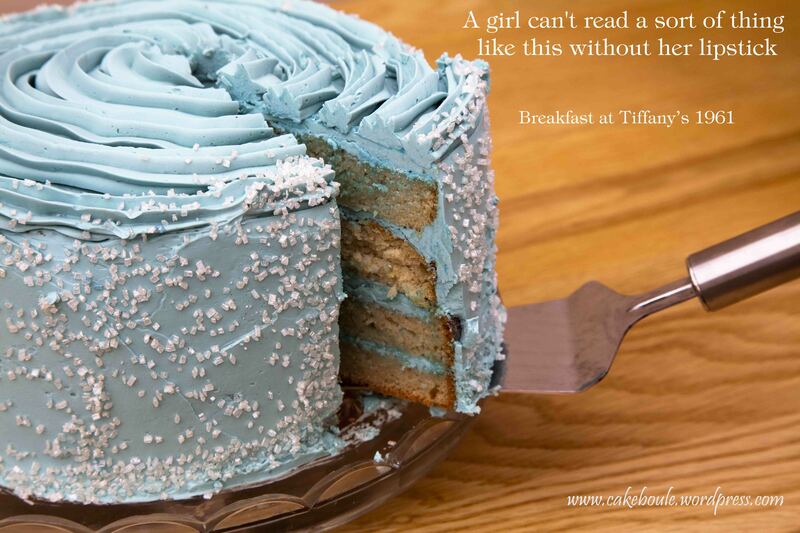 I hope you get to go to the real Tiffany’s one day – or better still, that someone hands over a little blue box as a gift! Amazing! The color, the cake, the color, the cake… everything perfect! Merci Beaucoup! I think a tiffany coloured piece of your beautiful jewelery would go beautifully with it! As always a pleasure! Just going to add you to my reader so I don’t mniss out in future! What a ridiculously good looking cake, though I’ve never seen the film! This sounds decadent and brilliant. 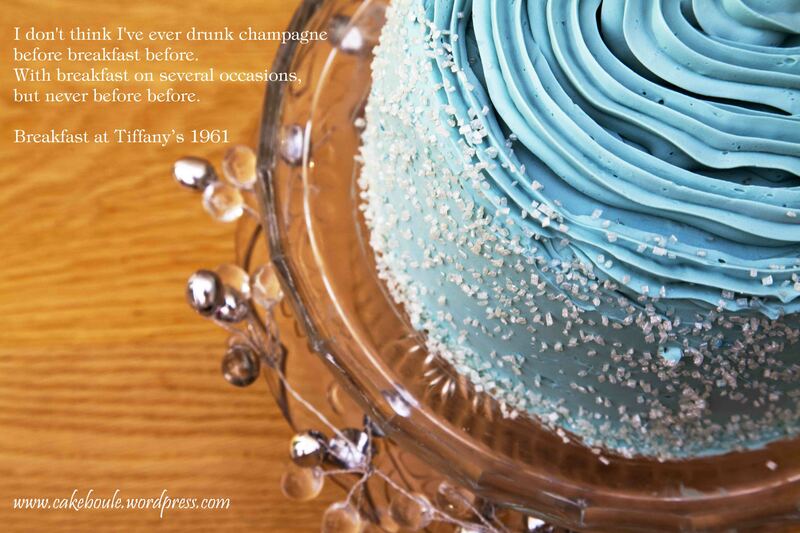 SO is your new arrival cake – wow! Thank you my little winner! 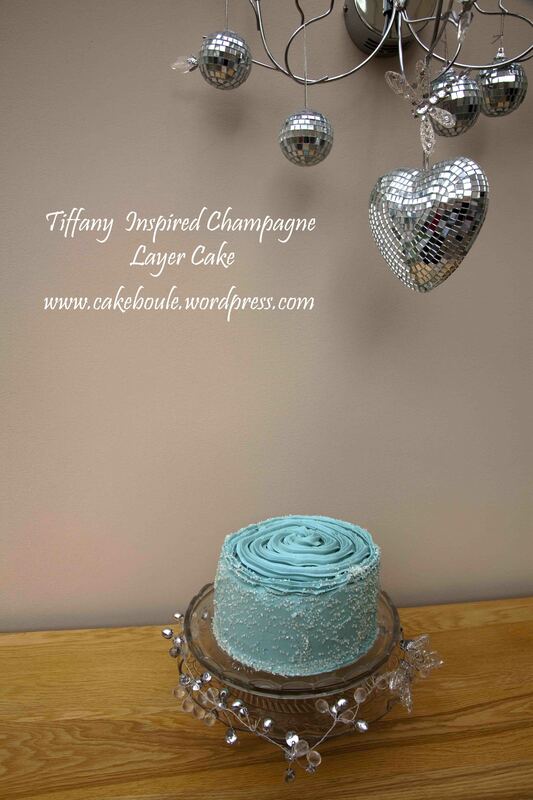 Champagne in the cake AND buttercream? Love it!! Stunning cake. Fabulous pics! Thank you all commments are always so welcome! Beautiful cake and beautiful photos. Loved reading this post. Thank you Fleur -well done on your TV appearance looking forward to seeing that! WOW…. excuse me while I pick my jaw up from the floor… I made a point of having “breakfast at Tiffany’s” when i went to NY a few years ago – my friend and I got up early, bought a bagel and hot drink and posed in front of Tiffany’s – our own breakfast at Tiffany’s 😉 The cake looks amazing and I’m sure it wouldn’t be difficult to eat it all on the same day! Pingback: Champagne cake! (cheers) | Will Work for Fun and Books! Hi they are just white sugar strands from Morrison’s (less than £1). Thanks for you comment and good luck !